An upgrade to the retail (boxed) version of the Display 3 is now available for those that wish to also automatically calibrate their PC/Mac monitors in addition to their TVs/projectors. See below. Note: We only sell the latest Rev.B versions with extended dynamic range hardware (certified to 2000 nits). Already own ChromaPure? Contact us for meter only pricing. Auto-Calibrate allows anyone with little or no training in video technology to calibrate their display with almost no user input. Lumagen Radiance or iScan Duo also required. ChromaPure Display 3 PRO licence required (not included). 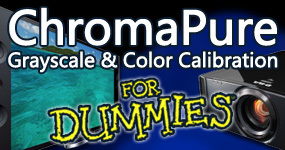 For connecting the PC running ChromaPure Auto-Calibrate to the video processor. Sign up today to receive the latest EyeOne Display 3 & ChromaPure news. If you have been interested in calibrating your own displays but have been deterred by the high cost of color meters and good software, this bundle is for you. Finally, professional quality results at a non-pro price. 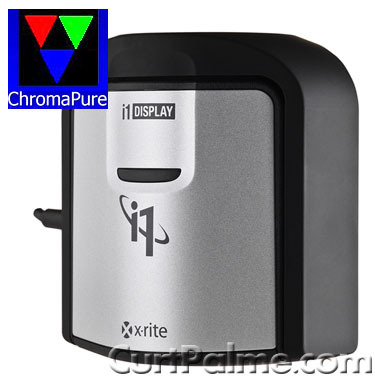 X-Rite’s new EyeOne Display 3 colorimeter (officially called the i1 Display Pro) is truly groundbreaking. It performs three times faster and read lower light levels better than the Chroma 5, all at a lower cost. 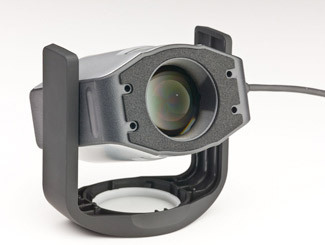 It is also one of the easiest devices to use because it requires no dark reading calibration. By comparison, the Display 2 requires a dark reading when the meter is initially connected. The EyeOne Pro / EyeOne Pro 2 and Hubble also require an initial dark reading plus periodic dark readings throughout the calibration session. To test the Display 3’s speed, we used it for a complete auto-calibration run in ChromaPure. The process took 7.5 minutes to complete. The Chroma 5 clocks in at 23.5 minutes. This indicates that the Display 3 is about three times faster than the Chroma 5. To confirm this, both were run through a full grayscale run. See the video above which confirms the auto-calibration findings. What is the difference between the OEM And the retail (boxed) version of the Display 3 meter? We offer both the OEM and retail (boxed) versions of the Display 3 meter in our ChromaPure software packages. Both meters are identical and both work with ChromaPure. The retail (boxed) version differs in that it includes software from X-Rite that allows you to quickly and automatically calibrate PC/Mac monitors. All changes are done and stored in the computer by the X-Rite software through the creation of .ICC profiles - the monitor itself is not adjusted. (Similar to how ChromaPure auto-calibrate works with the Radiance video processor to automatically calibrate home theater displays). To order the retail version, make sure to order the separate "UPGRADE" option at the same time as your Display 3 / ChromaPure package. What software can I use to do PC/Mac monitor calibration? If you wish to do PC/Mac monitor calibration we suggest ordering the retail (boxed) version of the Display 3 meter as it includes software from X-Rite to do automatic PC/Mac monitor calibration. To order the retail version, make sure to order the separate "UPGRADE" option at the same time as your Display 3 / ChromaPure package. If you already own the OEM Display 3 we suggest using BasICColor software to do PC/Mac monitor calibration. While groundbreaking, the Display 3 (i1 Display Pro) is still a relatively low cost mass-market device whose tolerances are looser than what you would find with more expensive professional color analyzers. The Display 3's accuracy is reasonably consistent when reading CRTs, plasmas, and front projector screens. The biggest problem by far lies with LCDs. Using the Standard mode the Display 3 may read one LCD very accurately and yet be considerably off on another. There simply is no consistency when reading LCDs. Contrary to one widely-repeated myth, this is not an issue directly related to the difference between CCFL backlit and LED backlit displays. Some LED displays actually give the Display 3 less trouble than their CCFL counterparts. Also, the Display 3 can maintain considerably different levels of accuracy when comparing two CCFL displays. The problem isn't with LED backlighting. The problem is LCDs period. To address this problem, the Display 3 PRO ships with multiple different LCD modes. We may add additional LCD modes as needed. How does the Display 3 PRO compared to SpectraCal's C6? Both use the same X-Rite i1 Display Pro hardware and have similar read speeds. Both have increased accuracy over the stock meter, but how this is done is different: The C6 uses the same generic offsets for all meters, while Display 3 PRO meters are all individually calibrated (since meters will have different errors). The Display 3 PRO will work with any software that supports the stock i1 Display Pro, while the C6 will only work with SpectraCal's software. The C6 comes with custom labelling (the red stripes), the Display 3 PRO does not. The C6 is more expensive. For an in-depth look at the differences, please see our FAQ: SpectraCal C6 vs. ChromaPure Display 3 PRO. The Display 3 ships together with ChromaPure software. 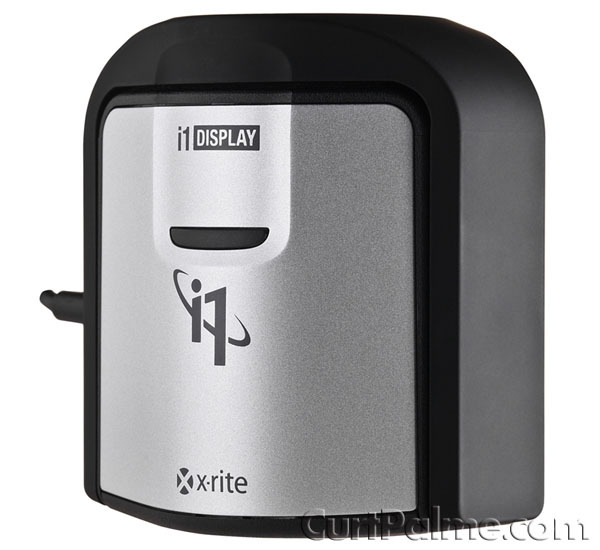 The retail package comes with X-Rite's Windows/Mac software which is used to calibrate any computer display quickly and automatically. 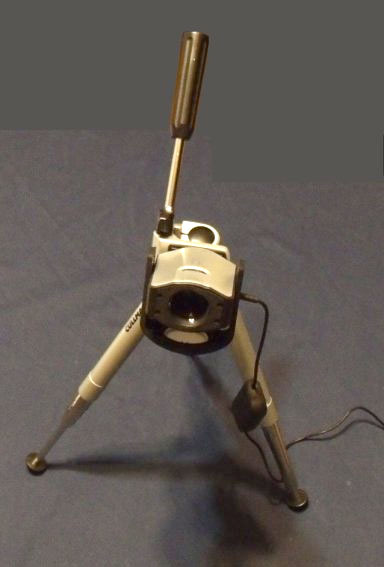 The Display 3 has a built-in tripod mount (for use with any camera tripod) and hinged high-quality diffuser.